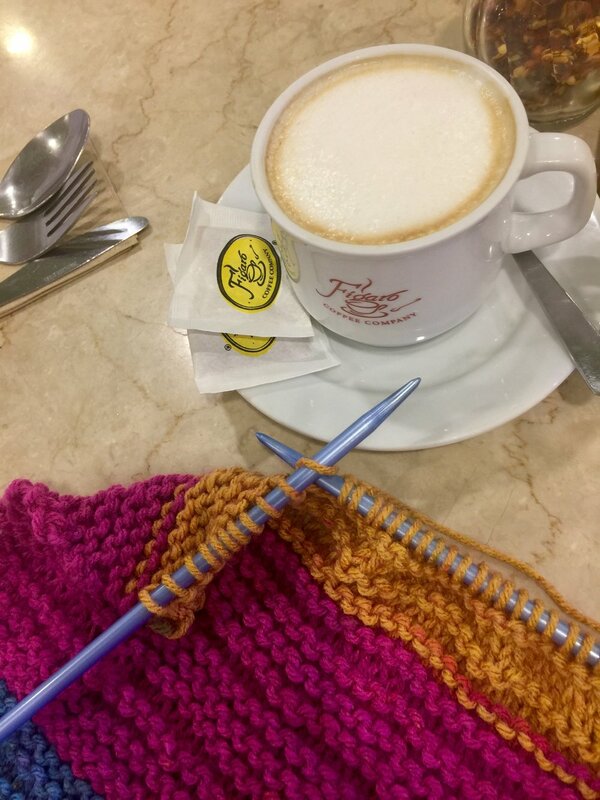 Yesterday, I got to knit while on a lunch meeting. As always, it has helped me focus on the matter at hand. It also helped that my Figaro flat white was brewed strongly, just as I prefer it to be. 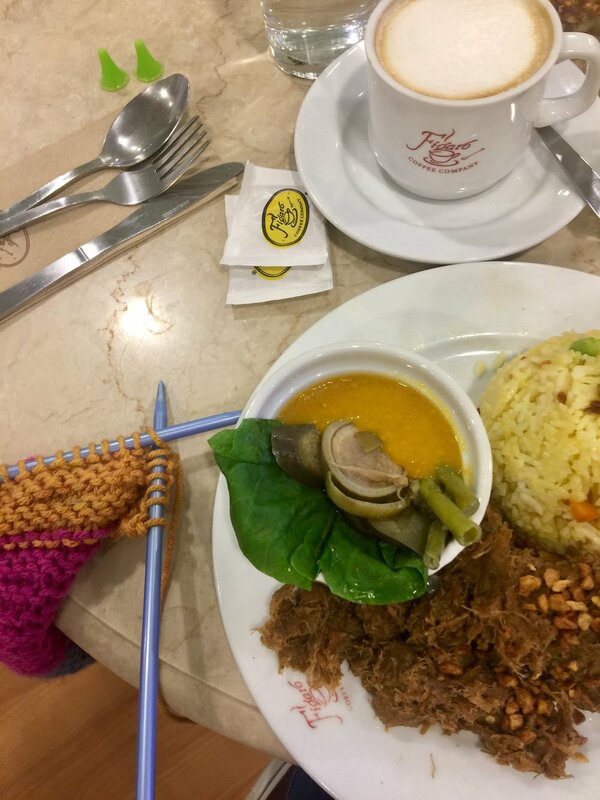 My go-to lunch at Figaro is their adobo flakes kare-kare, which never disappoints. It is filling, comforting, and flavorful- truly, it is the quintessential Filipino meal. Never underestimate the power of a handmade hobby and a power lunch. You will nourish your body and your soul, as you go along with your day. May you always find a way to make work better, one meal and stitch at a time.